There are so many affordable acoustic-electric guitars for beginners that you may get quite confused looking for one! But the hero of our today’s review is quite an uncommon acoustic-electric guitar. But what’s so special about this guitar making it great for beginners? What catches the eye the most? Today, we are going to have Ibanez Talman TCY10 Review! After reading this review, you will understand what we mean by saying that this guitar is quite unique. Let’s get started! Though this unit didn’t make it to our best acoustic electric guitar guide, it still has some quality features. 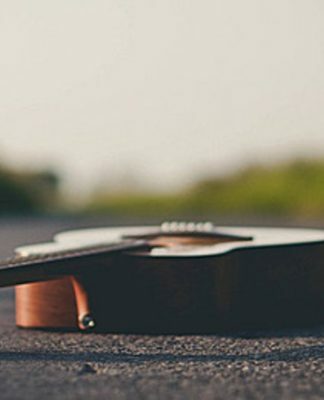 Let’s have a look at our Best Acoustic Electric Guitars Guide 2019! Sick of the traditional design of acoustic-electric guitars? Maybe this double-cutaway musical instrument will be to your taste! The beautiful body of this acoustic-electric guitar is built of mahogany back & sides and spruce top. Their great weight-to-strength ratio makes the guitar highly durable. The X bracing of the top further ensure the reliability of the guitar. The mahogany neck is supporting the gorgeous rosewood 20-fret fingerboard. The neck’s chrome die-cast tuners are both good-looking and functional. All this makes this musical instrument a great choice for those looking for something unusual. The only bad thing about the body is that some people might find the double-cutaway design ugly. Let’s start with the cutaway. It offers the same level of comfort as single-cutaway guitars and even more! With this guitar’s double-cutoff design, you can comfortably hold on to the guitar neck’s foundation with all your fingers. Not only that, the double-cutaway makes accessing the last frets of the fingerboard extremely easy. Spend much of the time on those frets? Then you should definitely look into this guitar! Ibanez Talman TCY10 offers you convenient adjustability. With the die-cast chrome tuners, you can regulate each string whenever and wherever you wish to. Another feature contributing to the guitar’s comfort is the Ibanez Advantage™ bridge pins. Compared to standard pins, they are much easier to take out. The bulb-shaped end allows you to easily grip the pin and, besides, prevents the pin from being pushed too far in. Finally, light materials and ergonomic body make this guitar great for lasting performance both sitting and standing! Thought that we were done with the double-cutaway design? It actually greatly contributes to the sound of the Talman TCY10! It reduces the bass and makes the guitar’s sound more resonant and clear. But it’s not all this guitar is capable of as its spruce top and mahogany back and sides add more resonance and warm/bright tones to the sound respectively. Like more harmonic-sounding guitars? 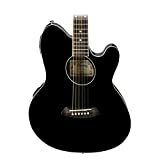 Try out Ibanez Talman TCY10! The adjustable strings will make sure you won’t hear buzzing when you don’t need it. That’s quite obvious due to the comfort you can regulate your guitar with. Speaking of adjustability, the guitar comes with the AEQ-2T onboard preamp with tuner. Don’t quite like the sound of the guitar? Make some sound regulations with the built-in preamp! At last, don’t forget that the wood of the guitar matures, making the sound of the instrument even better over time! The downside of the sounding is that it might sound too resonant for you. 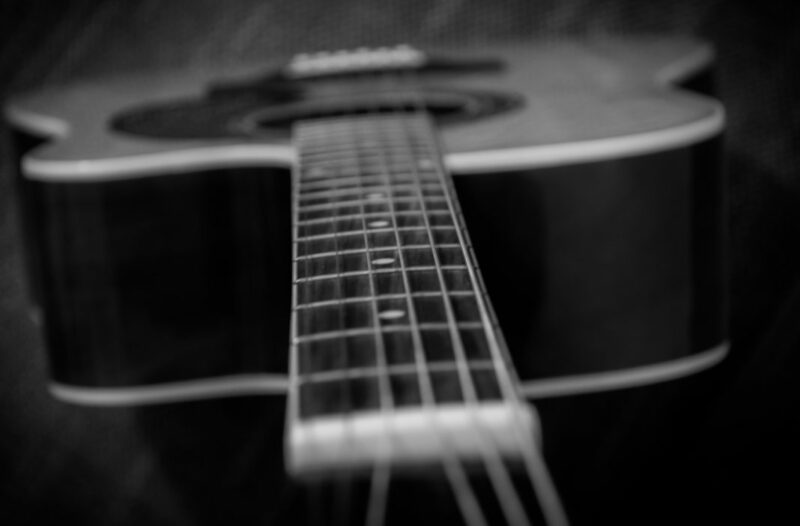 Musical taste is different with each of us, so you will have to try the guitar to see if you like it. At last but not least, the TCY10 features AEQ-2T built-in preamp with tuner, a great choice for beginning and intermediate level guitar players who don’t need advanced equipment! Why is it great for beginners? You don’t have to spend more to get acquainted with preamps, allowing you to set the base of your skills without expanding your budget. Besides, the built-in preamp doesn’t require any additional space. All this makes the TCY10 a perfect choice for starting your guitar playing activity! The bad thing about the onboard preamp is that it might soon become insufficient for your needs. In Ibanez Talman TCY10 Review, we will allow you to compare both the pros and cons of this product. Double-cutaway design for a unique appearance. High-quality and durable spruce top and mahogany back, sides, and neck for a stronger build. Easily adjustable chrome tuners and bridge pins. Double-cutoff, as well as the materials of the body, make the guitar sound resonant and warm. Besides, the double-cutoff makes gripping the bottom of the neck and accessing the last frets extremely comfortable. Comes in 2 colors (black and trans blue). Complaints on the low durability of the finish. The double-cutout design might be unsuitable for you in terms of both sound and looks. The onboard preamp will not fully satisfy advanced guitar players. I don’t really like the double-cutout design. Is it that necessary? The double-cutout impacts three characteristics of the guitar – the sound, comfort, and looks. The sound is pretty subjective, so whether you will like the changes brought by the cutaway or not will depend on your taste exclusively. Double-cutoff will be highly comfortable for players using the last frets of the fingerboard most frequently. Besides, it allows you to easily grip the base of the neck with your whole hand if you need it. Finally, the appearance of the guitar is pretty subjective as well. If you either spend much time on the last frets, like to have more resonant sound or like the looks of the guitar (or all at once), you should at least try it out to see if you like it. Otherwise, you don’t really need a guitar with a double-cutout design. That’s it for our Ibanez Talman TCY10 Review! As you could have seen from the review, this guitar is quite different. While one may argue that it generally has the same features as other acoustic-electric guitars, the one thing that is truly outstanding is its design. It makes this guitar greatly suitable for those guitar players who don’t like or want a traditional musical instrument. But looks aren’t the only thing the double-cutout design of TCY10 is notable for. It brings comfort and sound balance to the guitar as well! Besides being unique, this guitar is great for beginners thanks to its built-in preamp tuner. No need to dedicate space or money to start your guitar playing activity! If this guitar quite satisfies you, don’t hesitate and go try it out yourself! Maybe it is the rightest instrument for you after all! Have a nice buy! 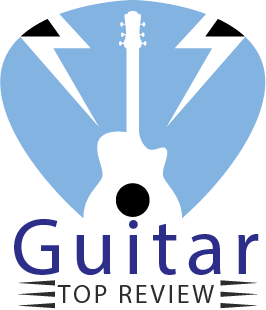 Next articleBest Acoustic Electric Guitars Guide: Update for 2019!